The Spanish company, a member of the TUI Travel Group, is adding 21 touring coaches based on MAN chassis to its fleet of vehicles. 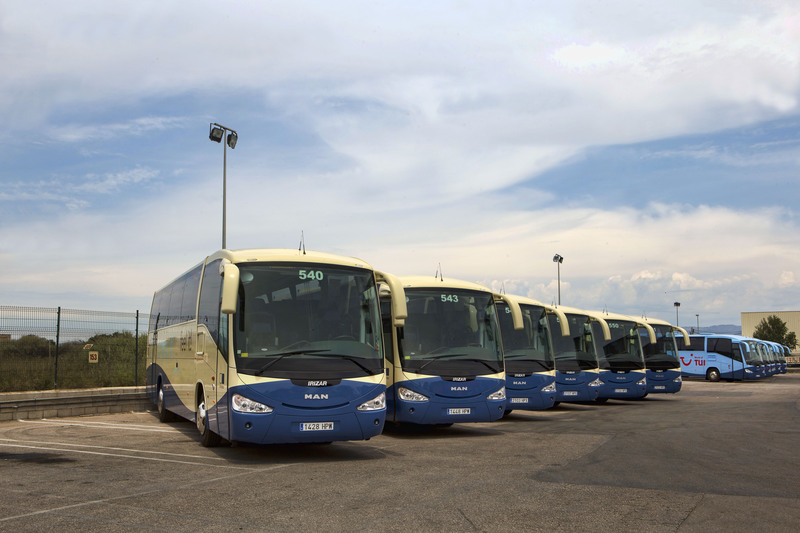 The coaches will be operated from the company's bases on Majorca, the Costa Blanca, Costa del Sol, Costa de la Luz, Tenerife, Gran Canaria and Fuerteventura. The touring coaches are based on MAN's coach chassis 19.400 and are equipped with independent wheel suspension on the front axle, air suspension all round and automated 12-speed MAN TipMatic® transmission. They are fitted with the "Century" body from Irizar. Francisco Tomé, managing director of Ultramar Transport, follows a strategy of keeping his fleet continually up-to-date and thus minimising the total cost of vehicle ownership: "Due to the performance of the transmission and the cost-benefit ratio, our decision was in favour of MAN." Ultramar Transport has a fleet of around 200 coaches with an average age of only three-and-a-half years.